Thank you to all who attended and contributed to the success of the 2013 Symposium! 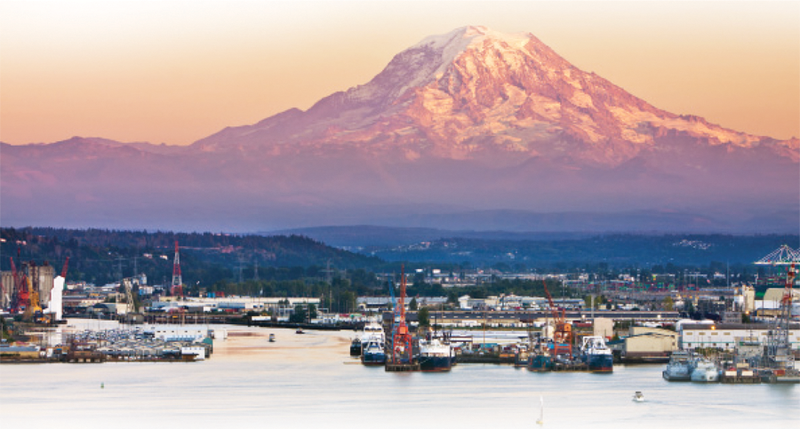 On behalf of the residents of Tacoma, thank you for your interest in this symposium that focuses on important issues that affect all of us – jobs, the economy and our waterfronts. I look forward to welcoming you to our great City in 2013 and having meaningful discussions with you. Please save the date and I will see you this spring! 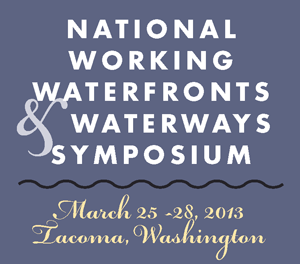 In March 2013, Washington Sea Grant produced the third national symposium on issues faced by working waterfronts throughout the U.S., at Hotel Murano in Tacoma, Washington. Increasing population in coastal areas generates increasing conflicts over access to and uses of waterfronts. Across the United States, waterfront communities both large and small are seeking creative solutions to address evolving challenges. Join the discussion. Meet with local, regional, tribal and national decision-makers; members of the commercial fishing, marine, and tourism industries, developers and property owners; business owners, community planners and waterfront advocates — at the third in a series of national discussions on working waterfronts. The	symposium	begins	March	25	with	a	full	day	of	field	trips	around the Tacoma waterfront and the region.